Betty Marr was serenaded for more than 10 hours on the day she died. 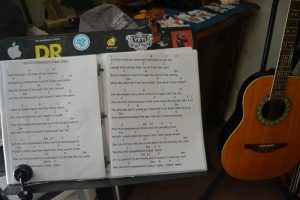 Roxanne Laurendeau, Marr’s daughter, played the guitar and mandolin to her mom’s favorite hymns, “In the Garden,” “Amazing Grace,” “The Lord’s Prayer” and “Because He Lives.” Laurendeau’s mom was the one who inspired her to play the guitar around 13 years old, and it was how Marr, 83, passed on from her over 11-year battle with vascular dementia, Laurendeau said. 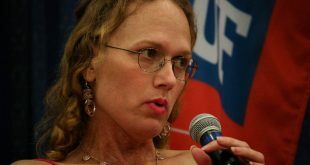 “We wanted to think that maybe she heard us,” Laurendeau, a 67-year-old Alachua County resident, said. Approaching the two-year anniversary since Marr’s death, Alachua County and the city of Gainesville became the ninth community in Florida, alongside others such as Miami, Sarasota and Tallahassee, to begin a Dementia Care and Cure Initiative task force. Brevard County would join the list in October. 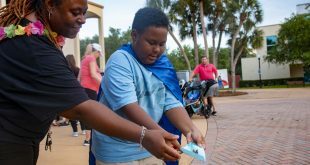 It would increase awareness of the different types of dementia, although Alzheimer’s disease is the most common, said Christine Didion, the program coordinator for the initiative at the Florida Department of Elder Affairs. Florida has the second highest rate of Alzheimer’s disease, Didion said. In Alachua County, more than 4,400 people, ages 65 and over, of the county’s 36,000 residents may be living with the disease. This is common with other counties in the state, especially those near central Florida. On top of that, over 1 million caregivers are taking care of those who are affected. By 2025, Florida is expected to have more than 720,000 people living with Alzheimer’s disease, according to the Alzheimer’s Association. 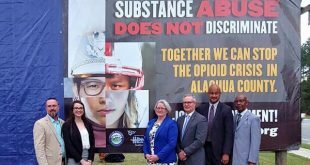 The volunteer-run task force, which met for the first time on Sept. 26, will take stock of what the community already does well and how to build upon it, Didion said. Each of the nine communities are different, but the goal of the group is to make the area more dementia-caring by better equipping the county with the resources it needs to educate its residents, places of worship and first responders since there is no cure for dementia and the older population is steadily increasing. It would also educate residents with what people with dementia experience when they’re out in the community, especially because many decide to remain active in it when they’re first diagnosed, Didion said. “People living with dementia are doing just that; they’re still living,” Didion said. Laurendeau understood this well when she would take her mom out to eat. Marr wanted to talk to everybody, she said. But, people weren’t always understanding that her mom had dementia, so the outings eventually stopped. The task force will face challenges of overcoming the stigma of dementia, making people aware of how serious the epidemic is, how many are affected by it and making people comfortable with it, said Johnnie Jones III, a member of the task force and the caregiver support coordinator for Elder Options. Jones, who trains caregivers, said he wants to make Gainesville more liveable for people with dementia. Having first responders sit on the task force is also important, Jones said. They’re the first to interact with patients who have dementia, especially when they respond to calls for falls or car accidents. This would help first responders not only respond to that which is a secondary result but to understand what the primary issue is. “This, I think will help to put it at the top of mind when they answer those calls and they go into those homes, so they could actually respond to the real condition — which is dealing with the effects of dementia and dementia disorders,” he said. As the first link in the chain between a caregiver and a patient with dementia, Alachua County Fire Rescue Captain and Health and Safety Officer Joey Malphurs said he wants to roll out mandatory training for all of the rescue’s departments as early as January. Training would give first responders the tools they need to communicate with people who have dementia and to recognize the first signs of it to get someone the assistance they may need, Malphurs, 56, said. Laurendeau said she thinks every town should have a dementia task force to help patients and families who are suffering from dementia and to keep people independent as long as possible. 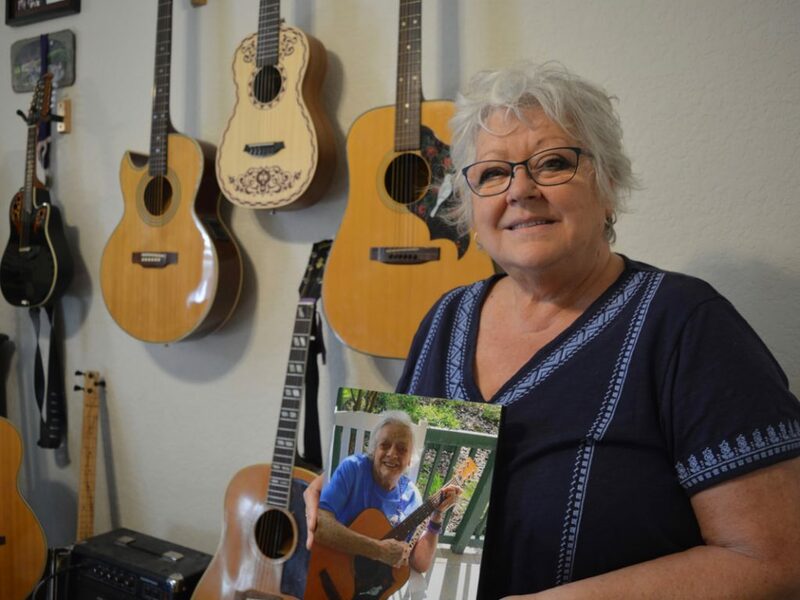 She said she hopes they could help people communicate effectively with those who have dementia and provide resources, such as a community center for those with dementia to play music like she did with her mom. “It seems to be the last thing they hold on to that they don’t forget,” she said. Laurendeau said she would sing the harmonies and her mom would always lead the songs. Marr had played the guitar since her late 20s, she said. “She could remember verses and songs, and yet, not remember who she was,” she said. To this day, Laurendeau said she’s still coping with her mom’s death. 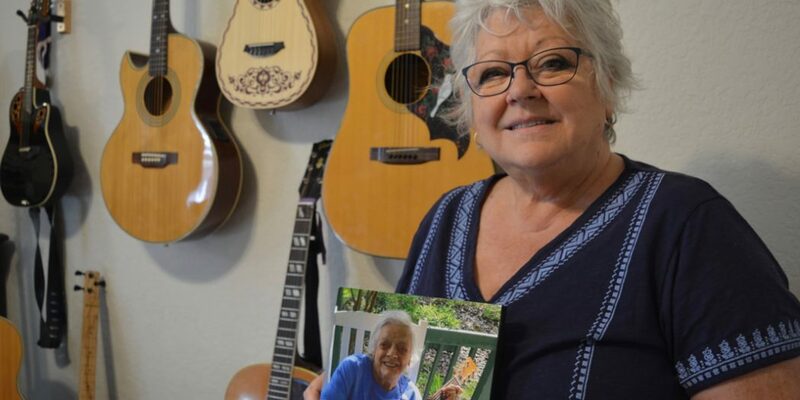 She stopped playing music until recently, when she returned to the same nursing home her mother died in to play hymns for her friend’s mom as she passed away. 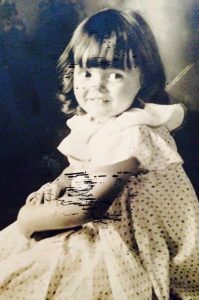 She also writes about her journey with dementia on her blog, Living After Dementia Loss. Grief from dementia is unique, she said, because she grieved for the person who was her mom while she was still living and longed for the person she was toward the end. “I think I’m still surprised after two years, that I still feel like in part that I’m still on that journey with my mom,” she said.